The coming of age film Love, Simon, directed by The CW’s Arrowverse guru Greg Berlanti, hits theaters on March 16. Critics have praised the movie, which currently sits at 88% on Rotten Tomatoes. The film follows the story of a teenager named Simon, who falls for an anonymous classmate online. Simon must come face to face with the feelings of first love, but he also hides a secret from his friends and family: no one knows he’s gay. 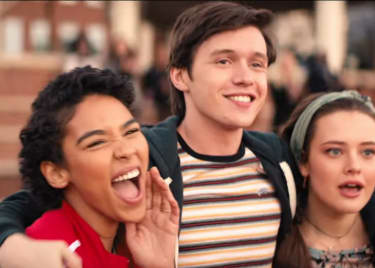 Love, Simon looks absolutely charming and the cast is incredible. That impressive cast includes Jennifer Garner, Josh Duhamel and Katherine Langford. Yet the lead, Nick Robinson, isn’t the most well-known actor. Early reviews have praised Robinson’s performance, which should be the next big step for the actor. So where have you seen Nick Robinson before? 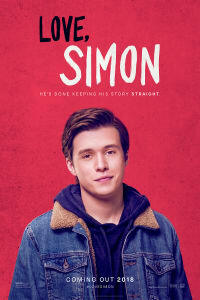 Love, Simon isn’t his first role by a long shot. Though he’s young, he’s already had an impressive career spanning ABC Family series and billion dollar blockbusters. You might be surprised where you’ve seen him before. Let’s take a look at the Nick Robinson’s roles so far. Robinson performed in stage plays in Seattle, Washington in the late 2000s, then made his television debut on the ABC Family sitcom Melissa and Joey. Robinson played Ryder Scanlon for the length of the series, which ran for over 100 episodes. He also co-starred in an episode of HBO’s Boardwalk Empire in 2012 as Rowland Smith. The episode, “Blue Bell Boy”, prominently featured Robinson as a young thief who stole a shipment of liquor from Steve Buscemi’s character, Nucky Thompson. In the latter half of 2012, Robinson starred alongside Zendaya and Bella Throne in the Disney Channel original film Frenemies. Although they may not be feature films, the Disney Channel films tend to have a huge fan base. This title familiarized Robinson to younger audiences and helped bolster his social media presence. That same year, Robinson starred in the indie darling Toy’s House, which debuted at Sundance 2013 and was released later that year as Kings of Summer. The film showcased Robinson’s acting chops and was his first step towards mainstream stardom. Then came a dinosaur-sized hit. Robinson appeared as Zach in the 2015 blockbuster Jurassic World, a box office juggernaut which grossed over $1.6 billion worldwide. Despite the film’s success, Robinson’s role didn’t make him a household name. He played his part beautifully, but there wasn’t much to his character. It did, however, introduce Robinson to mainstream audiences and became his most well-known performance. Following Jurassic World, Robinson led the Rob Reiner-directed film Being Charlie. In 2016, he starred alongside Chloe Grace Moretz in the adaptation of the popular young adult novel The 5th Wave, which was widely panned by critics and audiences. It did, however, further expose the impressive young actor to a wider audience. He also starred alongside Amandla Stenberg (of The Hunger Games) in the 2017 indie film Everything, Everything. Nick Robinson also has a strong presence on social media. He’s built up his brand on Instagram and currently has 880K followers. By all accounts, Love, Simon looks to be a career making performance for Robinson. It’s the sort of role that creates an enduring fandom. 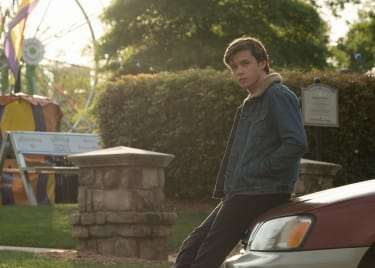 Hopefully, Love, Simon will propel Nick Robinson’s career forward and help make him a household name.